A cabinet minister of Zambia’s parliament was suspended on Tuesday from its proceedings for one month. The suspension was following the minister allegedly slapping a lawmaker within the parliament grounds. Verbal abuse is the norm among members of parliament in Zambia, but physical assault is rare. Patrick Matibini speaker of the National Assembly, said Lusaka Province Minister, Bowman Lusambo, was suspended for slapping outspoken lawmaker Chishimba Kambwili in October 2017. Kambwili has repeatedly accused government officials of corruption since his dismissal as information and broadcasting minister in November 2016, but the state denies the allegations. 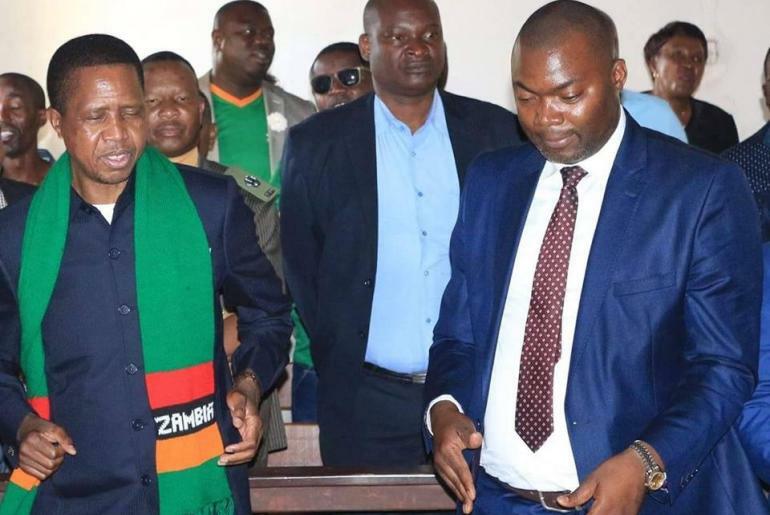 Kambwili complained after the incident that Lusambo had slapped him twice after accusing Kambwili of making false accusations against the government. Matibini said Lusambo was banned from entering parliament grounds and using its facilities during the period of suspension and would not be entitled to any allowances.